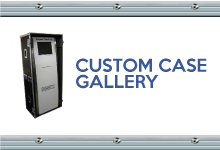 We offer a variety of 19" rackmount cases to suit all applications from standard racks to heavy duty touring shockmount rack cases. 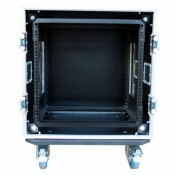 Standard Range - The rackmount rails are bolted directly to the inner of the case. 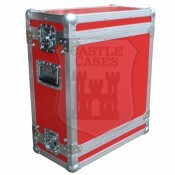 Foam Sleeved - Using 20mm high density foam for greater protection and the inner sleeve is made with the same heavy duty 9mm hexaboard panels we use for the case outer. 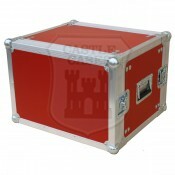 The sleeve is also capped with aluminium extrusion. 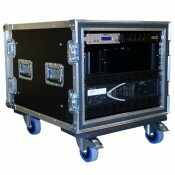 Shockmount - Our 'Ultimate in Flightcase Protection' racks with an inner steel shockmount frame that has 8 shockmount buffers per case that can hold up to 200kgs. NEW !! 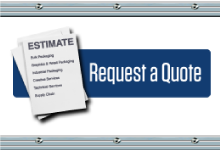 Lightweight Shockmount Racks - Made with lightweight astroboard panels, these are designed to reduce impact shock and vibration to rack equipment. 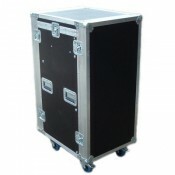 Mixer Console - With front, rear and removable top lid these racks are ideal when using a top loading 19" mixer.